I recently attended my first writer's conference in Utah. 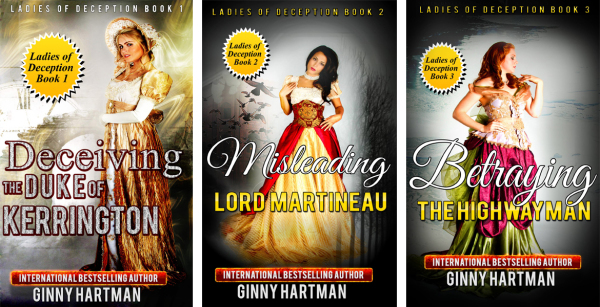 While I was there, I decided to change up the covers of my Ladies of Deception trilogy. They were the first covers that I designed, with my very limited Photoshop knowledge, and I figured they could use some sprucing up. These are the first covers I had designed by a graphic designer other than doing them myself. I sent her the images of the heroines then let her have complete creative control. Definitely not easy for me! I wasn't quite sure what to expect, and it's definitely different, but it's a refreshing change. What do you think of the new covers?